Hackers come in two sorts––the ones that like to disrupt things for creating a better world and the ones that like to mess with things to create personal harm. It’s the latter hacker that you need to guard against (the first type just requires you to keep an open mind). If you’re worried that your city may have been hacked, take your gut-felt concerns seriously and act quickly. Hackers can get into city in surprising ways but what you need to understand is how this might manifest itself to you when looking at your town. Here are some possible indicators that your city might have been hacked, along with suggestions for quick action. Think about what segner says, posts and does. Is this an upscale citizens with the city enrichment in mind? The private business club is getting 3 million a year for their private club enrichment! Think about the chamber, why should a private-regional-membership organization aka chamber get YOUR Bed tax FOR their personal USE? NO CITY GIFTS any group their BED_TAXES!!!! Bed taxes are suppose to be used for the jurisdiction that collect them. NOT the region!!!! “you never got back to us with how you would run the Sedona under “NO” ON HOME RULE with $12,000,000 taken out of our budget”. and if you did by chance answer the question how about humoring me and posting it once again. You are all moron bots. In just the last 4 years, the city of Sedona has gifted the Sedona Chamber of Commerce $7,362,708. Obviously Segner would like that to continue. Most cities give their local chamber NOTHING. WE can change things. Vote in a new city council. Vote NO on home rule. I need more like minded people to run for city council. I need a majority of city council to change this insanity. For those takers that request me to “humor them”. I have no obligation to respond to trolls and idiots that are too lazy to read all the facts posted. It would be nearly impossible to waste more money, give more no bid contracts, spend more funds wrongly for the “greater Sedona area”, than our current “leadership”. You have my word I will put residents first. It’s easy to believe me as I am a resident, with no tourist business connections. I can’t do it without your help and a like minded city council. 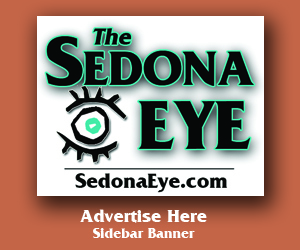 Sedona hasn’t been hacked but “sedona Eye” certainly has been. Jump back crybaby’s…. negative thinkers like yourselves find PROBLEMS in every SOLUTION…. I’m going to say this as nicely as I can to pass the SE Editors, I really hope that there are no other “like minded” people in our city. @@TontT Losers and takers don’t know how many residents are discusted by the crooked politics. You are obviously profiting by what goes on here. Thamk God there is an afterlife. Vermin. I hate incorporation. Vote for Tony T. Vote NO on Home Rule! Based on the number of attacks on Tony Tonsich it appears whatever he’s doing is infuriating certain people. Hmmm . . . maybe those who are profiting from the current tax and spend trend? Hey, folks, it’s months away from the primary election in August. And if there is a run-off it won’t be until November. How about waiting to see whether or not there will even be other candidates besides those incumbents who have declared their intention to run, including Mayor Sandy, and the newcomer Tony Tonsich? Are you all so frightened you might lose control of the reins you have nothing better to do for the next 5 to 8 months? The biggest change clearly could result from sealing the cookie jar by defeating Home Rule. That, for sure, would clearly identify the men from the boys, including City Manager when he could no longer create new city departments. Latest: Director of Economic Stability (or some such thing) in addition to hiring an Asst. to the Director of Parks & Rec (aka Wreck) for more parks that a former citizen survey clearly said weren’t wanted. Voting NO on Home Rule clearly is the issue of the day. Do not believe in the ensuing Scare Tactics that have already begun. They tried that with the Fire District and voters were smart enough to see through the smoke screen. I don’t think Tony T would care about an opinion from someone too cowardly to sign their name. Tony T, we need more like you ! 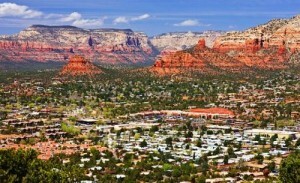 Sedona is a great place to live, work and play. That’s why we all moved here and continue to stay here. Why blame tourists, admit it, most of us started out as tourists too. We are just lucky enough to call this beautiful city home. I don’t understand all the negativity. I am not complaining about the traffic, yes it may cause me to get to my destination 5 minutes later than usual. I am not complaining about our taxes, they are alot less here than NY where I come from. I am not complaining about the beauty, no where beats our red majetic rocks. I am not complaining about property values, my property has never been valued higher. I am not.complaining about our taxes, they are typical to comprable communities. I am not complaining about our sewer fees, they are reasonable and beat my failing septic tank. I am not complaining about my neighbors, they are great! I am not complaining about our businesses, they are world class. I am not cmplaining about our fire and police departments, they are the finest in country. I am not complaining about our leaders and councilors. They are hard working dedicated citizens who care about us, our city and protecting our environmental treasure. I have nothing to complain about, we are blessed. Thank you to all who continue to maintain our most fabulous welcoming, Sedona! Thank you so so much for your concern regarding incorporated Sedona. You live outside city limits near Red Rock crossing(remember your prior posts concerning “leave us alone”? 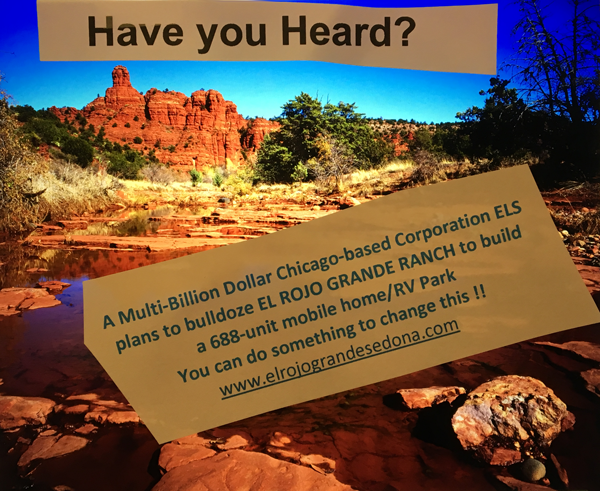 What you you care about Incorporated Sedona. Us City residents got this. Wow, Mike W, OMG, @MIke W, Richard Saunders all written as soon as you could think them up. It did take you a while, but speed is not a normal characteristic of a city employee. Not very convincing, try harder. What will you do when you have to find a real job? You know, it’s hard to find a job once you are unemployed. You should start looking now. Just sayin. Based on the number of attacks on Tony Tonsich it appears whatever he’s doing is infuriating certain people. @Observation. I believe that new Director being discussed will oversee a department relating to Sustainability (versus Stability – not that it wouldn’t be a good idea for some of the mentally impaired who have lost concept of maintaining a small town atmosphere). Councilor JT can’t wait for that one = sustainability. His sites are set on The Dells outside City Limits. Wait until he finds he must deal with the Red Rock-Dry Creek unified folks. Might get interesting. VOTE NO on homerule. Elect officials that will respect your RIGHTS!!! I love $edona. I really love the city staff and city council. I get as much money as I want to enhance my life. Anyone that disagrees I call names. This is how we do it in $edona. We are in control get over it. We are having a grand time playing on taxpayers money without any checks or balances. Keep it rolling you pay my bills. I have an unlimited budget ans can’r spend it fast enough. My nest-eggs are growing fast. Easy I just love $edona. We are $edona. I want to thank all my supporters I love $edona! To those of you who insinuate you have all the answers and with your feeble attempts to appear pious, your pompous bullying towards Tony Tonsich and others brave enough to use their own names amounts to nothing more than perfidious attacks. Little wonder some prefer to shield identities and those people exist on both sides of this argument. 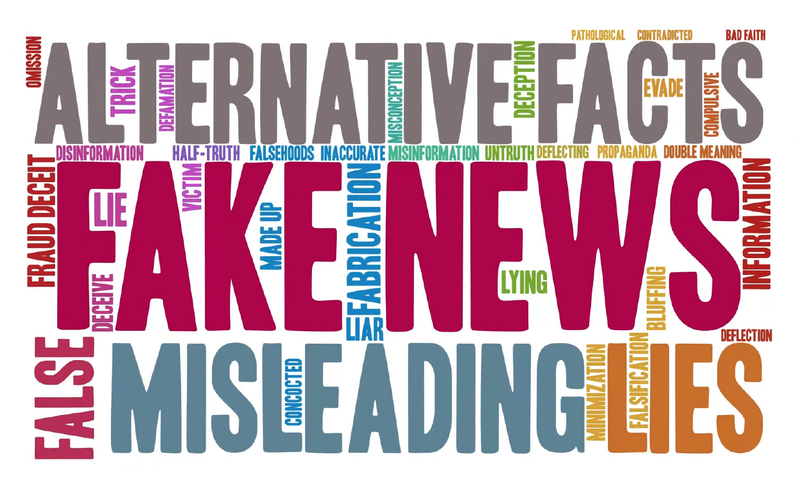 Blatant accusations such as scare tactics and misquotes like doing away with the Sedona Police Department are far more despicable than anything Mr. Tonsich has presented and in many cases downright deceitful. Keep in mind that frequently the bullied underdog ultimately stands to gain sympathetic support, although it seems sympathy is the last thing Tonsich is seeking, an opinion based on his pleas to the public that changes can’t be made without cooperation and help from others. Additional points to think about? This ongoing qualify of life feud (wasn’t that the original topic?) might serve as a heads up to other unincorporated areas thinking of becoming a legitimate municipality. Read some of the comments!!!! Keep in mind many Sedona voters living here during the originally failed vote to incorporate were completely misled. We’ve got the opposite from what was promised. It appears it isn’t about to change. Twisted interpretations and desperate scare tactics are already in place — result of fears incorporated City of Sedona might be forced to operate within its means and adhere to an authentic balanced budget — which results with a NO vote on Home Rule. No Chicken Littles the sky will not fall!! Try it you might like it. Your wallets will. VOTE NO on Home Rule. Tell the city NO THEY CAN’T KEEP SELLING OUR RED ROCKS. You mean peel that use thier REAL name line you silent observer!!? Did you forget that you failed to use YOUR OWN NAME????? Then why didn’t The Goldwater Institute step up to bat at SB 1487 and take on endless questionable breaches supposedly to be addressed under that legislative bill? Are they (Goldwater Institute) same as our State Representatives, more engrossed with Sedona City Attorney who during city council meetings seems to relate to more time spent in Phoenix than Sedona?? And where is your OWN real name?! You totally bought into the really quite brilliant message sent by the original Silent Observer. Great Job, Sucker. No need to use your own name. Your lack of writing skills speaks volumes. @msthomas isn’t that @silent’s point !? Both sides now point!? You people here we love it ! Exciting & wicked fine convo! And thank you @Mrs. Roger Thomas for taking my bait. At least everyone else like @Cheryl Ernest clearly understood my message. Are we supposed to actually believe you as Mrs. Roger Thomas are using your own TRUE identity? C’mon. Dumb is dumb but dumber is just that. Dumber. Erroneously as I started reading your grievance it was anticipated you were seeking a definition of the word “perfidious.” Perhaps your endeavor would have been better served if you Googled the meaning to better expose your misconceived delusions. In my opinion that research might have reaped more logical rewards and possibly served to add a smidgen of credibility to your inane comment. However all things considered you represent another stellar reason to vote “NO” on Home Rule. SE readers – Are you paying attention? Can’t stop laughing – Sorry – But not really. You exemplified the classic example to which I was referring. Thank you more than you know. I hope you are enjoying your new life(same hate different town) in prescott valley . I am so loving my high power, paying job with tons of tax-free benefits in $edona. I get so much free stuff. From vacations, food, and gifts from my members, they loved me in $edona. $edona Chamber is a private entity we don’t have to follow government rules. We have the best of both worlds. It is $edona. I won’t ever leave the beautiful wonderful cash cow $edona. There is so much for me and my friends in $edona. Everyone at city hall loves me and they pay me quite nicely to get my friends and business partners to attend city council meetings. We love $edona @Jess W. the city $edona is playing for affordable housing, allowing more hotels, and giving us $edona Chamber 55% of all city bed taxes. So beautiful $edona, we get bed tax and we are not a government. Cool! We all becoming multimillionaires here in beautiful $edona. Love it! To the person who so rudely identified us as not being real people in addition to explicitly telling us we are not welcome in Sedona, isn’t that counter-productive to the apparently millions of dollars being spent to promote Sedona? By treating even one tourist rudely, what kind of message is really being sent? In case you aren’t aware word-of-mouth advertising has been proven time and time again as being the most effective. We thank you very much for proving our point and are very very grateful we didn’t spend money in such a very rude and actually quite trashy place – literally! We are continuing to enjoy our stay and spend our money in Phoenix and surrounding areas where we are welcome. Refusing to believe what he was hearing, at a large professionally publicized event at the Walnut Creek CA complex Mr. Boswell personally placed himself at the entrance intersection and did his own survey! And guess what? The responses justified the rental manager’s report. It’s curious the prevailing opinions of Sedona decision makers avoid even the possibility of how important word of mouth advertising is. And also how it can convey the negative and not just the positive. Therefore, it dazzles me how even one person making negative comments about people claiming to be visitors isn’t really a very good idea. Unless, of course, the comment is actually coming from a selfish resident who wishes to close the door to Sedona? Doubt that. “If consumers value word of mouth and marketers believe it is effective, then why aren’t marketers more focused on it? Way to go @@phoenix snow birds. Let @Boston Snow Birds convey your warm Sedona welcome to their Phoenix companions. Then let each of them return to their home states for the summer and spread the negative word about Sedona. Best form of reverse promotion which will keep the chamber of commerce well funded trying to reverse the damage. Vicious circle! Home Rule? Another reason to vote NO. @JD – Sedona Thank you for taking us seriously. The others who question our integrity aren’t significant for us. What does matter is the verbal disrespect shown to us because we registered a complaint (opinion) that our weekend trip up from Phoenix was not pleasant, probably because of two main events on that same weekend which clearly could not comfortably or safely handle the volume of traffic. So our criticism has turned into a witch hunt for disgruntled tourists? So be it! Another reason for us to tell our friends in Phoenix and elsewhere of our experience, and so on and so on and so on. Yes we’re winter visitors to Arizona but Sedona, thanks to your ongoing insults, will be related as a negative and your nasty comments on this link will back us up. Thanks a lot, losers. I can’t stand the traffic. West Sedona is crazy. Most my neighbors feel the same way. We find it quicker to go to Cottonwood then try and shop or be entertained in Sedona. This is probably why Cottonwood income is on the rise for restaurants – entertainment – shopping. Went to Cottonwood to pick up items for a household repair. After that went to a restaurant. I chatted with some other diners on the way out and found it interesting that they were tourists. The tourists have a timeshare in Sedona and told me to much traffic. They visit Sedona once a year. They go to Cottonwood for entertainment food ect. Congratulations City you are doing a fabulous job on driving the spending customers to Cottonwood!!!! Non-Profits clamoring for free money – Show Up! Opportunity not only knocks in Sedona, it Abounds with Good Fortune for Special Interests!! Steve can you start up another online blog in direct opposition to this slanted tea party blog..
We can call it Sedona Postive Vision and doers. We can post the real facts and leave the haters to thier cauldron of hate and despair and crying… in addition we can let outsiders know that 99 percent of us that live here… Love it here…. This is the time to help those groups with pockets full of money like Sedona Recycles and Humane Society?!?!?!?! Do we need to give Sedona Recycles any money OF COURSE WE DO, IT’S IN OUR COMMUNITY PLAN that we need to do more for the environment. 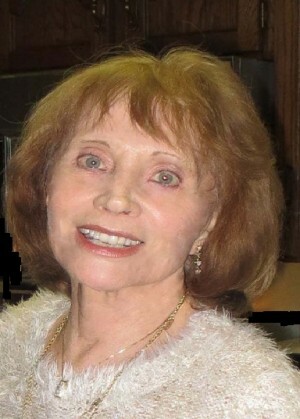 I moved to Sedona because I want to live someplace that cares about good health of body, water and air. But you nay sayers to everything Sedona find fault with everything good. Sedona City cares about the environment, that is why they are drilling wells to inject waste water into the Cornville Aquifer. Oh, but it is treated wastewater, except the treatment does not remove pharmaceutical chemicals. I want this “treated” wastewater to be served to the Sedona City Council and City management. It should be required they drink and bathe in it. Injecting waste water into an aquifer is criminal. Sedona is drilling waste water injection wells into the aquifer, and they are not even sure it is not their own aquifer. I’ve read the report, it’s full of could, might, we think. Scary. Of course the Humane Society, Sedona Recycles and other worthy causes that clearly serve a valid purpose deserve outside funding. However, to give to every single bleeding heart in the entire Verde Valley has become over the top. It should stop, beginning but not ending with the millions of unaccounted dollars thrown at the Chamber of Commerce without one single legitimate audit or tracking of actual return on the investment. You people who just enjoy attacking opposition being conveyed by readers of the Eye seems to be running scared as indicated by your vicious attacks on requests for accountability and transparency. The city has transferred $ 8,624,208.00 since 2013 to the regional chamber of commerce. Just under 9 million. And how, Sir or Madam, do you get away with making such claims without facts to prove them? Are they not, IN FACT, simply expressions of your own OPINION? You accuse others of your own deeds and think you’re being transparent? Definitely another part of the problem without offering a viable solution. More reasons for changes in administration and declining Home Rule during this upcoming election – In My Opinion! The city spends more then they bring in. Almost 10 million more is planned on in the budget. 25% of that debt is wasted on the chamber a private club. The city needs to live within their means.